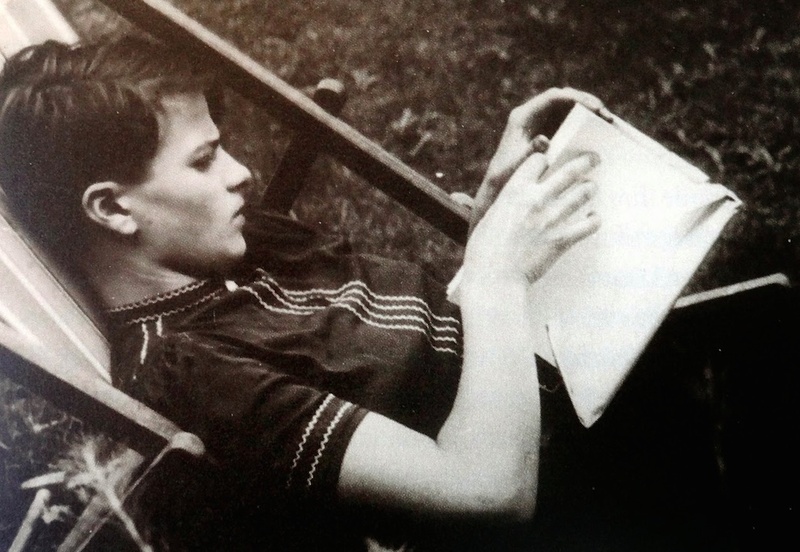 Today is Sophie Scholl’s birthday. She would be 95 – an age she may have reached had she not been executed by the German People’s Court on May 22nd 1943, at the age of 21. On the morning of her death by guillotine, Sophie was found guilty of high treason – along with her brother Hans Scholl and their friend, Christoph Probst, both of whom were medical students. Their conviction and subsequent execution for high treason concerned the distribution of leaflets espousing the inherent immorality of the Nazi State, especially in reference to the regime’s crimes in the East – specifically the mass killings of Jews and Polish civilians. The leaflets were produced by a small, yet fiercely passionate, German resistance group called The White Rose – of which Sophie, Hans and Christoph were key members. The Group produced 6 leaflets in all, and it was while distributing the 6th, at Munich University, that Sophie and Hans were arrested. Their act of passive resistance was betrayed by the university’s janitor, when Sophie, on impulse, scattered a handful of remaining leaflets from the atrium balcony. Christoph Probst was later arrested, after a draft of a 7th leaflet, in his handwriting, was found in Hans Scholl’s pocket. Further arrests of The White Rose members were to follow – resulting in 3 more executions. I’m proud I stood up against Nazism. From my point of view, I did the right thing. I don’t regret my conduct. I will accept the consequences. I won’t betray my brother or my principles. I’ll make no bargain with the Nazis. I realize one can wallow in the mind while one’s soul starves to death. Born in 1921, Sophie was one of five siblings. Their mother was deeply religious and their father – formally a Lord Major and later a tax advisor – was a liberal-minded intellectual and pacifist, who detested Hitler and his regime from the start. In the beginning, the Scholl children were swept up in the National Socialist fever, joining the BDM and Hitler Youth movements – with Sophie and Hans quickly rising to positions of leadership. However, it wasn’t long before they both became disillusioned with the Nazi government. This disillusionment evolved into outright distain once reports of the atrocities in the East filtered back to Germany. Sophie’s dairies record how she experienced several periods of deep depression due to living under Nazi rule, which she described as a nightmare. She was especially horrified by the government sponsored euthanasia program and mass killings in the East. When she became involved in the activities of The White Rose group – of which her brother Hans was already a member – she was able to channel her horror into active resistance. Between May 1942 and February 1943, the group succeeded in distributing thousands leaflets across Germany – at no small cost, difficulty and danger. One of the leaflets of The White Rose group. The majority of Germans failed see the true nature of the regime under which they lived; rather, they idolized their leader, sanctioned and justified his insidious policies and followed him willingly into the abyss. Not so The White Rose group; they saw with clarity, from inside the belly of the writhing beast, that the Nazi State was infused with the foul stench of corruption and blatant evil…and they were compelled to bear witness to what they saw. At the end of the trial – which lasted less than 3 hours – they were all found guilty and their sentence of death was order to be carried out that same day. By some miracle Sophie and Hans were able to say goodbye to their parents and, minutes before their death, to each other and Christophe. Sophie was led to the guillotine first and was said to have walked with unwavering dignity. She surrendered her life with grace, as did Hans and Christophe – sure in the knowledge that they were dying for a noble cause. It was a sunny day. I was carrying a child, in a long white dress, to be christened. The path to the church led up a steep slope, but I held the child firmly. Then suddenly, a crevasse opened at me feet, gradually gaping wider and wider. I was able to put the child down safely before plunging into the abyss. The child is our idea. In spite of all obstacles, it will prevail. Their idea did prevail. It shines bright in the seemingly impenetrable darkness that was the Nazi terror. That their small group faced down that terror and refused to succumb to its deranged dictates reminds us that morality, justice and right are more valuable than life, for without them life is something rotten and unpalatable. Their valiant example shows us it is moral, just and right to stand up against tyranny, not with violence but with passive resistance; to never willingly side with injustice and to remain loyal to those we love, even in the face of death; that youth is beautiful and pure and must be protected, for it is the best of us; that truth does prevail and evil always destroys itself. The heroism of Sophie and The White Rose group is powerful for its moral clarity and touching in its tenderness. They gave their gentle lives to the leviathan and in so doing forged a moral compass for us all. Their sacrifice was not in vain and will never be forgotten. Happy Birthday dear Sophie, may your sweet soul rest in peace.